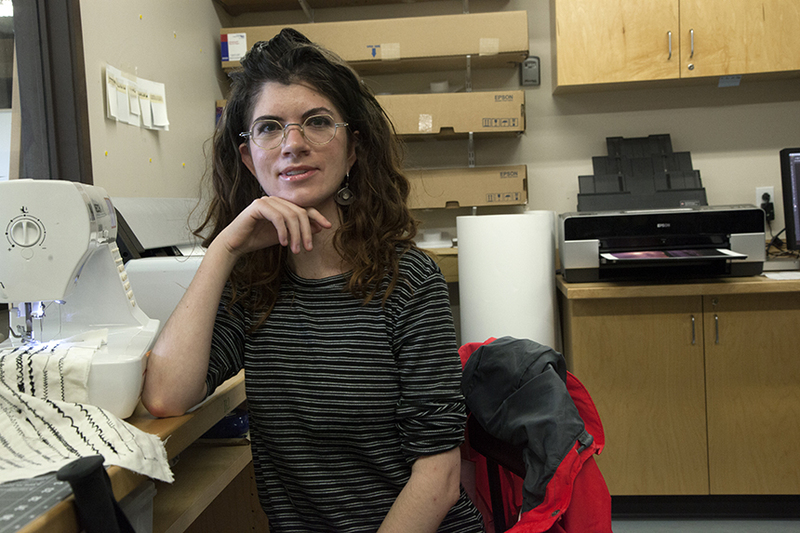 For the first time ever, the MakerLab is hosting an artist in residence for the summer. 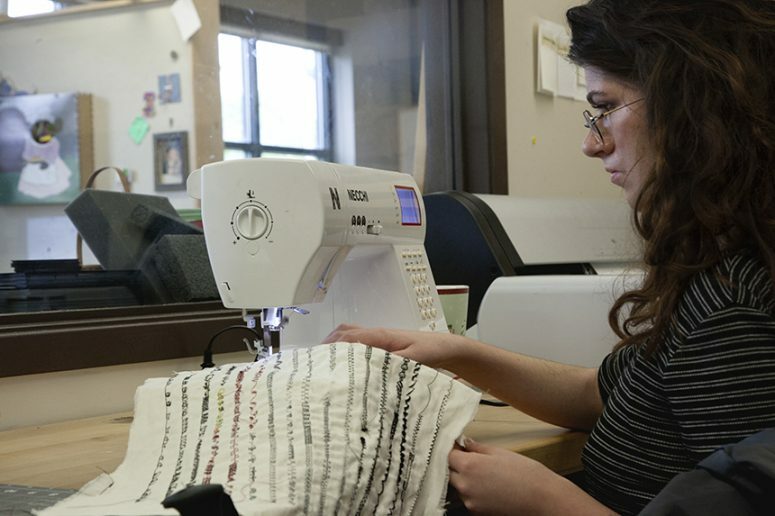 Sophie Zeman- Hale is a fiber artist who attends School of the Art Institute of Chicago. She is here for the summer to create pieces for the MakerLab, collaborate on projects, host workshops, and bring in something new. I sat down with her and asked a few questions about project plans and about what she does. Q. What exactly are fiber arts? Q. How did you find out about the Emergent Media Center and the MakerLab? A. 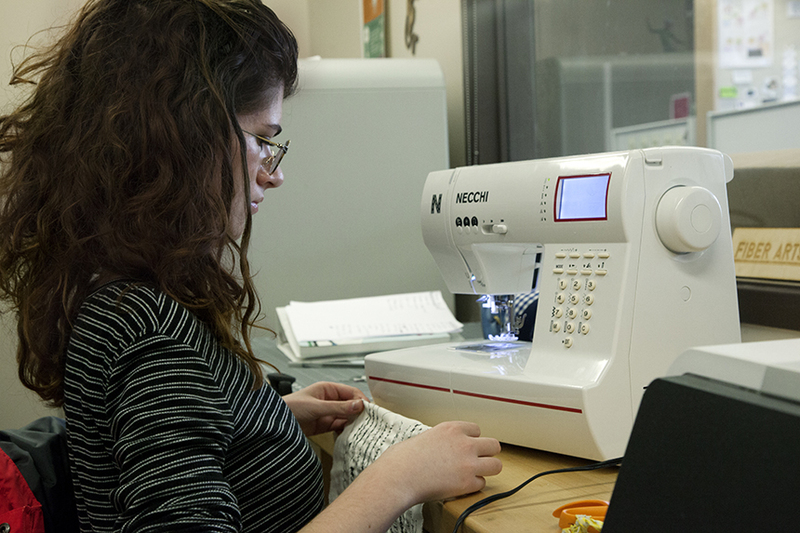 “ Right now I’m working on some example work to display in the MakerLab around the new sewing machine station. All of the other machines have example pieces representing what they can do so that’s what I’m doing right now. You can draw on fabric with string like embroidery with this machine so I’m going to make some pieces using that and I also like making soft sculptures that I could display as examples. Q. What would you say your “brand” is? If you were to be known for something, what would it be? A. 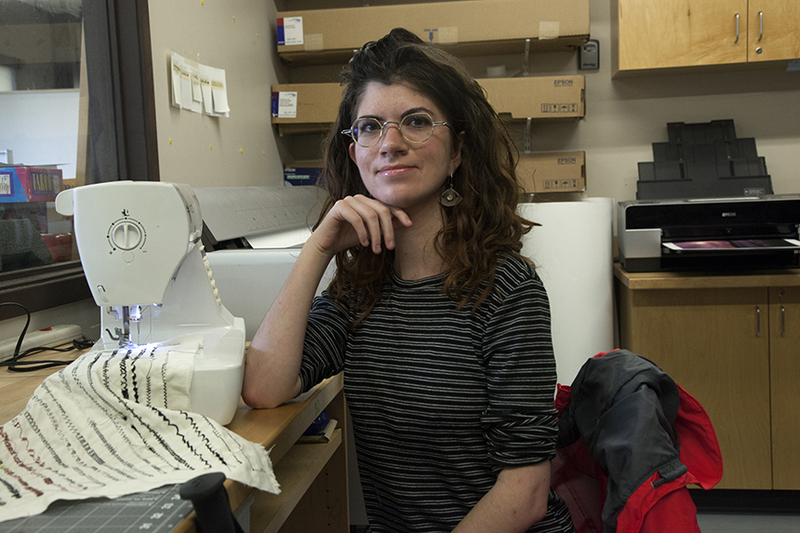 “Wow, let me think about that… I’m really interested in the relationship between textiles and the body. Fiber art is so tactile and physical. It can be a physically laborious process to make this type of art like with weaving. I think it’s interesting to find the similarities between these processes which can be healing and so physical, and relate it to bodily functions and chronic illnesses that affect the body. Q. So I heard that you might be planning some workshops? A. “Yeah! I’ve actually been brainstorming what sorts of things fun things I could teach here. I was thinking maybe a basic sewing workshop to start and then maybe move into soft sculpting, sewing stuffed animals, a simple garment, or maybe some embroidery. 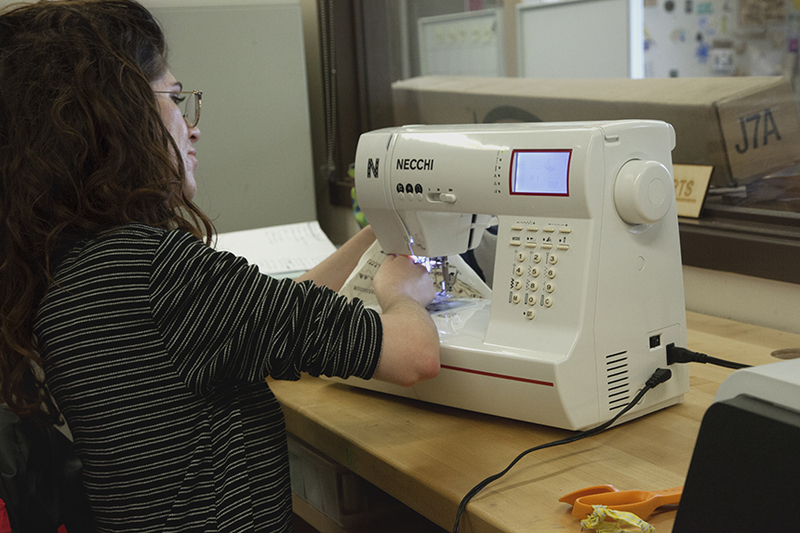 Sophie will be here for the duration of the summer and will be in the MakerLab four days a week. Head down to the Emergent Media Center to say hi and maybe learn something new!